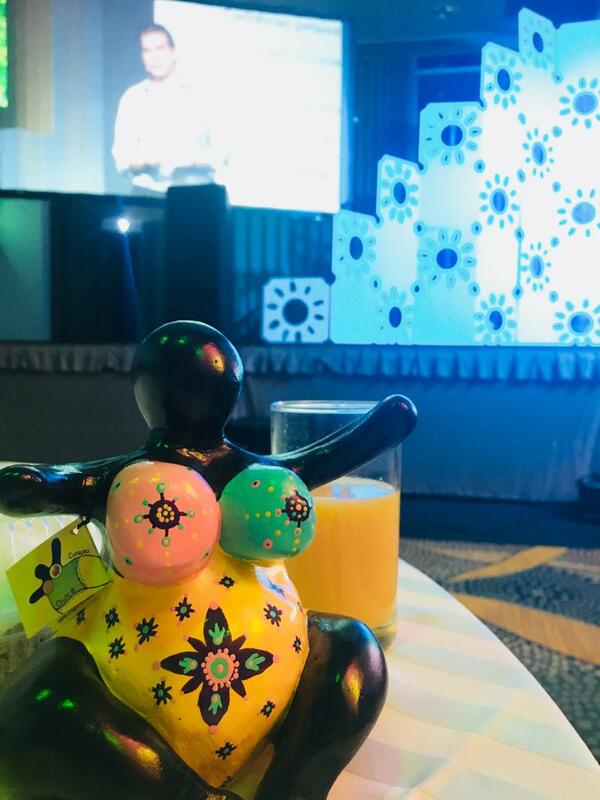 Chichi joins the National tourism conference! In the week of 24 September 2018 Chichi joined the National tourism conference at the WTC building in Curaçao. Here Chichi learned a lot about how to attract more tourism to our beautiful island and how to give you an experience you will never forget! The morning started off with a cup of coffee, tea or juice. Chichi of course chose for the juice since this is simply the best! She walked back to the main hall where all beautiful round tables where set up for the visitors of the conference. Then, when Chichi sat down she got a lovely introduction and some cool and interesting speeches. After the speakers were finished with their own presentations, Chichi had the chance to join some presentations of her own choice. She went to, The Digital marketing session, The Importance of Ground Transportation for Tourists and Institutional Attractions and Shops / Culture and History. Chichi learned how to be more active on social media to let you know when there is a cool workshop going on, so you can participate! Chichi also learned that you want to have a ‘’local’’ experience and Chichi is going to give you that! 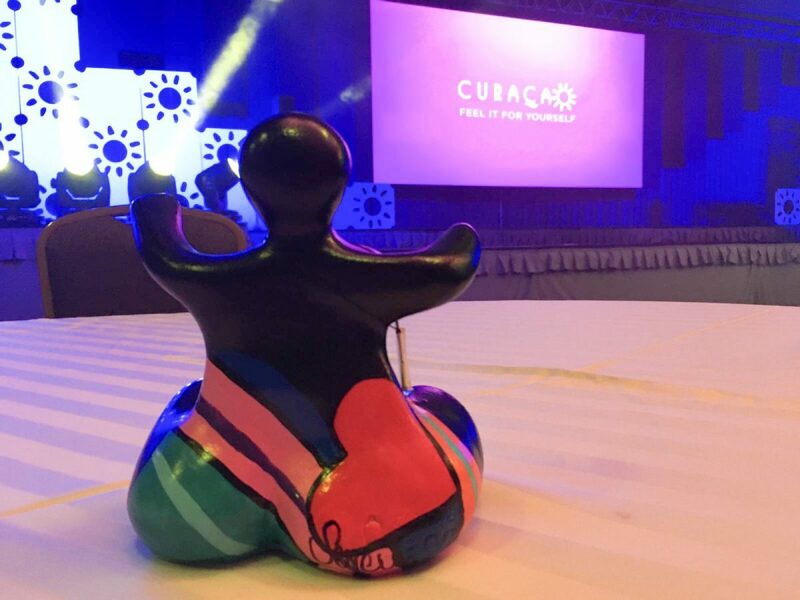 Talking about local experience, The Tourism Board of Curaçao, finally unveiled their new branding campaign, which perfectly exemplifies Curaçao’s lively and authentic personality. With this new campaign and hashtag Curaçao hopes to make the first steps to making their tourists feel at home and let them experience the typical local life. We, as Serena’s Art Factory, are very glad that we have visited the conference together with Chichi. Now we do understand you a bit better, so we can give you a vacation you will never forget!